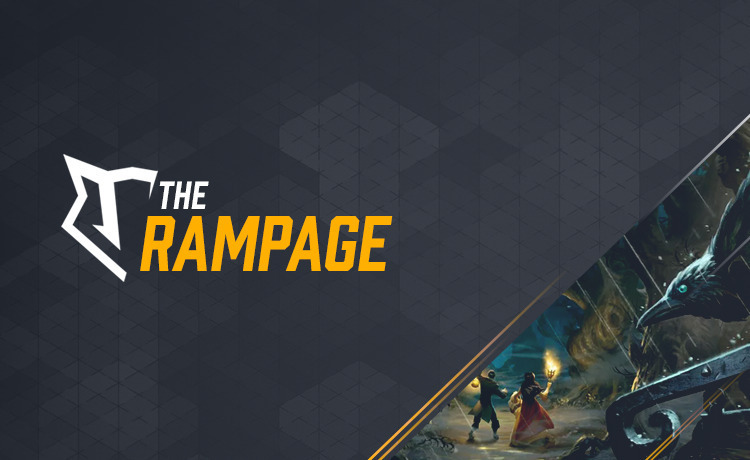 Rampage is our longest league type which spans over several days. The goal of the Rampage is to get as high “Ladder score” as possible. The top players will be rewarded with prizes. This league features the following format: Best of 3 in Specialist mode. The full rules can be found further down on this page. You will shortly be matched with an opponent. Once you get a notification that your match is ready, add each other in the game and play with the given rules. After the match is completed, report the outcome of the match and your “League score” will be updated. Track your progress in the “League” tab. Make sure to take ingame screenshots of all game results in case of a dispute or being requested by an admin. Decklists are open and your decklists must be named Primary, Secondary and Tertiary so that your opponent can easily distinguish them. 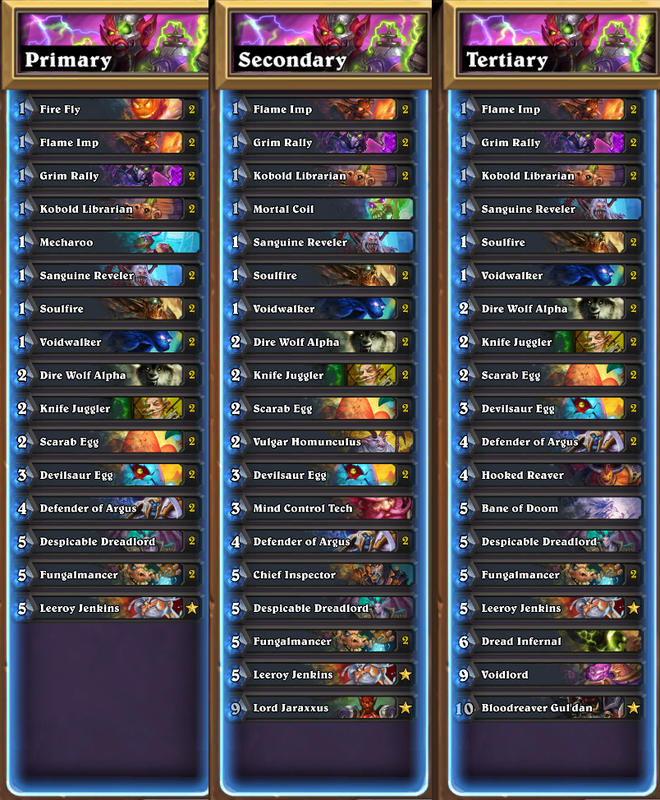 If no names are provided the leftmost deck will be the default Primary deck. When you click the button "Add Deck" make sure to upload a deck montage featuring all of your 3 decks in the same image file with all cards and titles clearly visible. Deck montage sample If any player has uploaded a single deck, this will be the only deck they are allowed to play. In Specialist mode, you need to have 3 decks with the same class. One deck is designated as a primary deck, the other two as secondary and tertiary. Secondary and tertiary decks may have up to 5 cards different from the primary deck. (two duplicate cards in the primary deck list count as two cards). Both players must start the first game with their primary decks. After the first game it is allowed to switch decks or keep playing the same without declaring it to your opponent. When you get a match with an opponent you are required to play the match, if you do not show up within 5 minutes or refuse to play, a default win will be handed out to the opponent. Picking a class which have been banned will result in a default win for the other player of that game. Whizbang the Wonderful is not allowed to be used. Any matches started before the closing hours of the league or the end of the league itself will count towards your league score once completed. You may stream any of your matches, we suggest doing so with a delay. Battleriff admins / observers may ask to spectate any of your games, in which case you will be contacted by someone with the admin badge and need to accept the request. If there are any ties in league score among the top 10 participants at the end of the league, decider matches will be played to determine the winners. Players with no games played, or few games played may forfeit their spot in the league. If two players of the same team or closely related by other means are matched, Battleriff admins may ask for full replay files or vods and may even decide to cancel or void the matches if deemed necessary.